Creations Galore Blog: Creations Galore Gal, Megan Daul: Make It Shine! Hello paper crafters! We have a beautiful layout from a talented customer to share with you today. Megan Daul has kindly handed over her page to show a few techniques that we just love! Let's take a look. 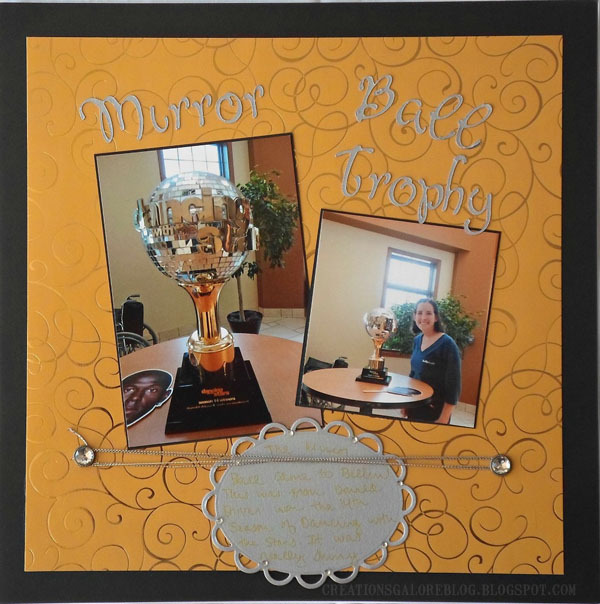 This page shows off a few pictures from when Megan got to see the Mirror Ball Trophy from Dancing With The Stars up close. She mimicked the mirror's shiny appearance throughout the layout by adding rhinestones and metallic papers. For the page background, Megan chose this foiled paper by Reminisce. 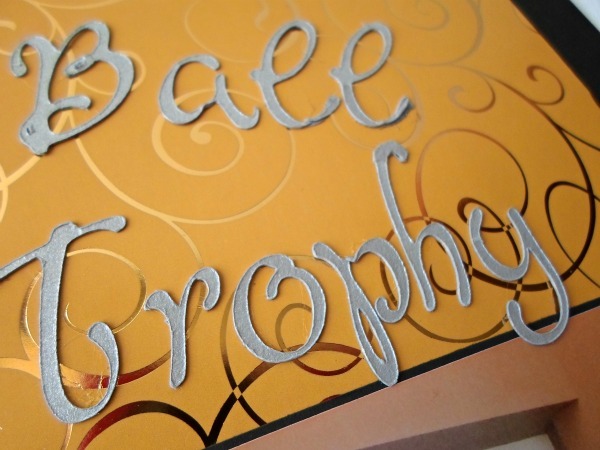 Using her Cricut, she cut out letters from our metallic paper collection by Paper Cut. This collection is best known for wedding invitations and special events. We love that she tied it into her scrapbooking pages! Another non-traditional scrapbook element Megan brought to her page is the use of Spellbinder dies. The Lacey Ovals die, popular among card makers, was used to create a journaling spot. 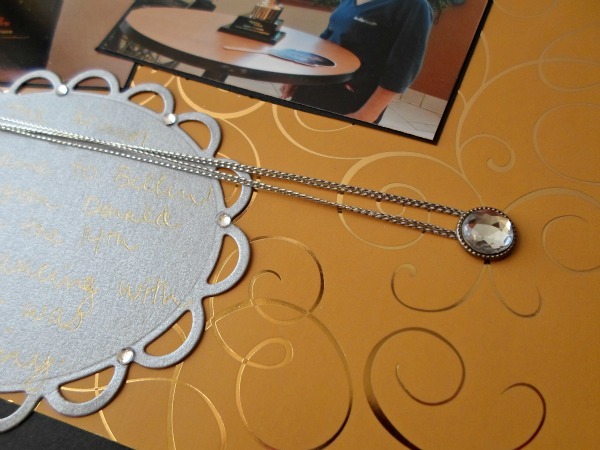 She then added journaling in gold and strategically placed rhinestones on the die to add even more shine! Curious about the twine she added? Megan added two rhinestone brads to the page and wrapped silver twine around the two to create line on the page. Thank you so much Megan for sharing your talents with us today! We hope you all have been inspired to add some metallics to your layouts! To see more of Megan's work, visit her blog Creative Happiness.